on April 1st from 10 am to 1 pm at CREATE, 900 W. 4th, Newport, Washington. 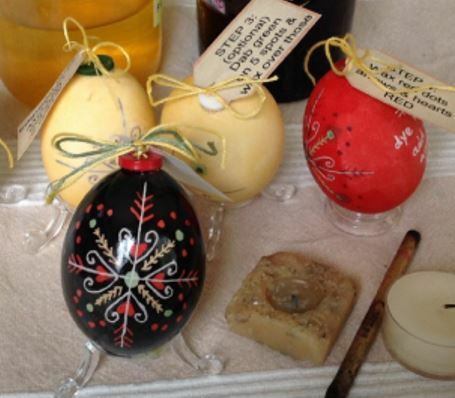 Prepare your own heirloom egg to pass on to others or for yourself. 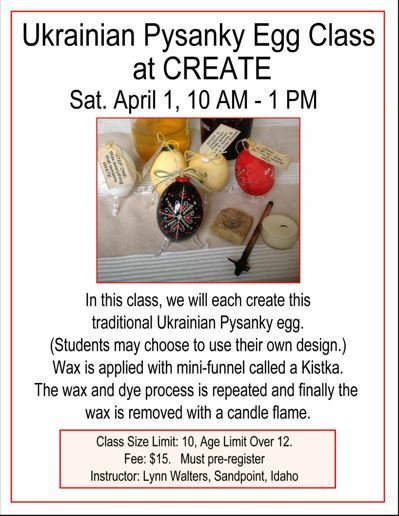 This egg making process involves applying wax with a mini-funnel called a Kistka. After the wax is applied the egg is dyed. The wax is then removed with a candle flame and your beautiful design is ready. The class is limited to 10 participants, age 12 and older.